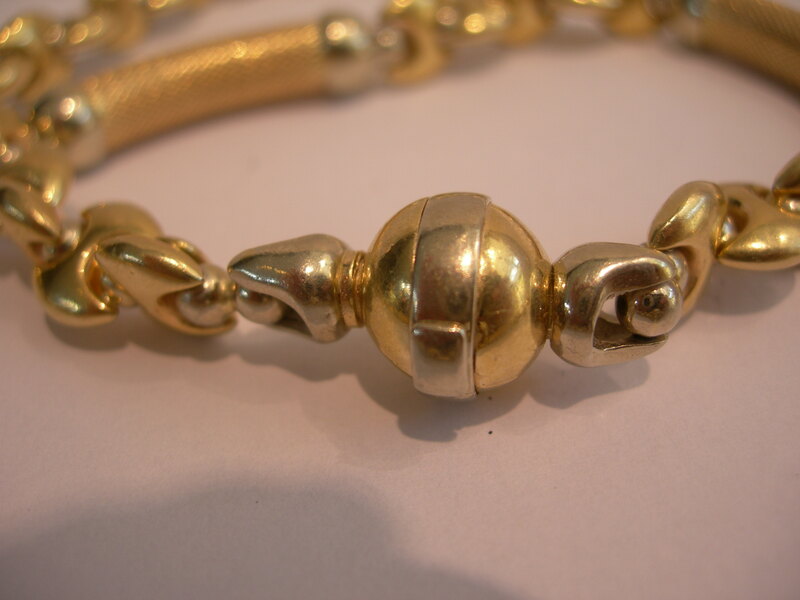 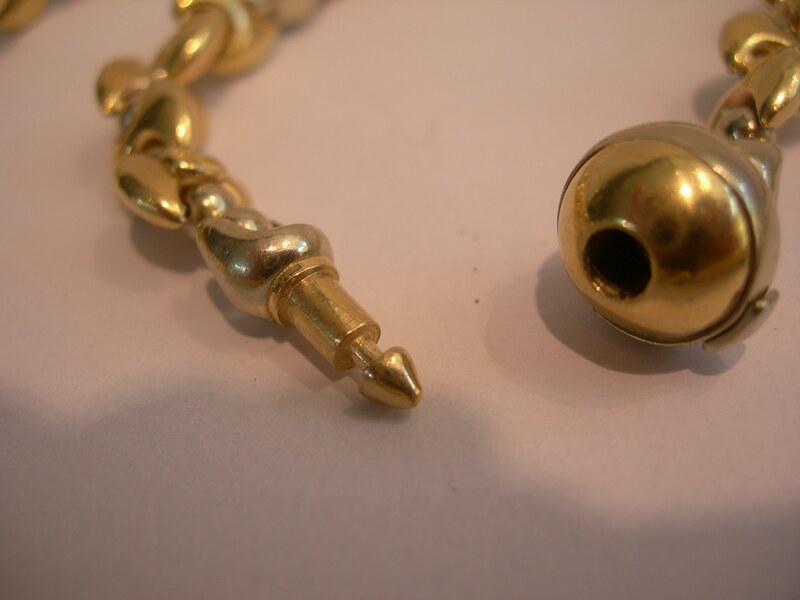 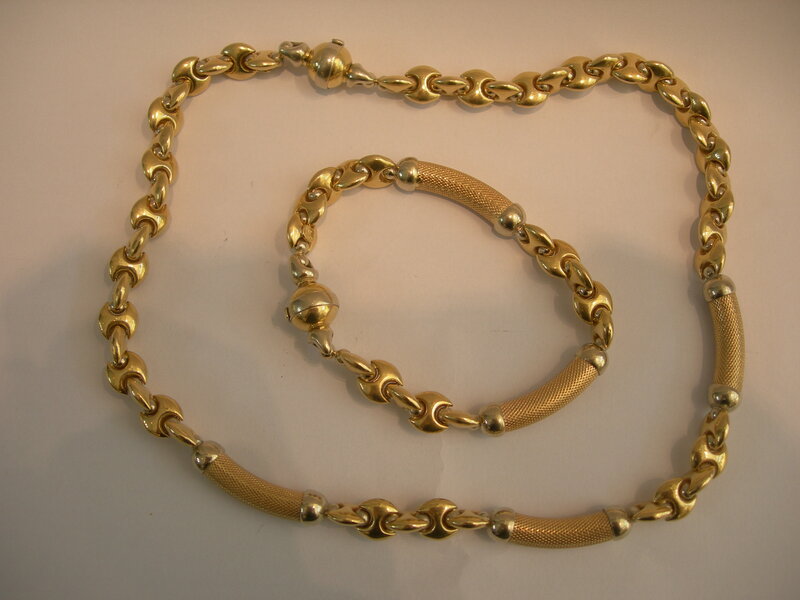 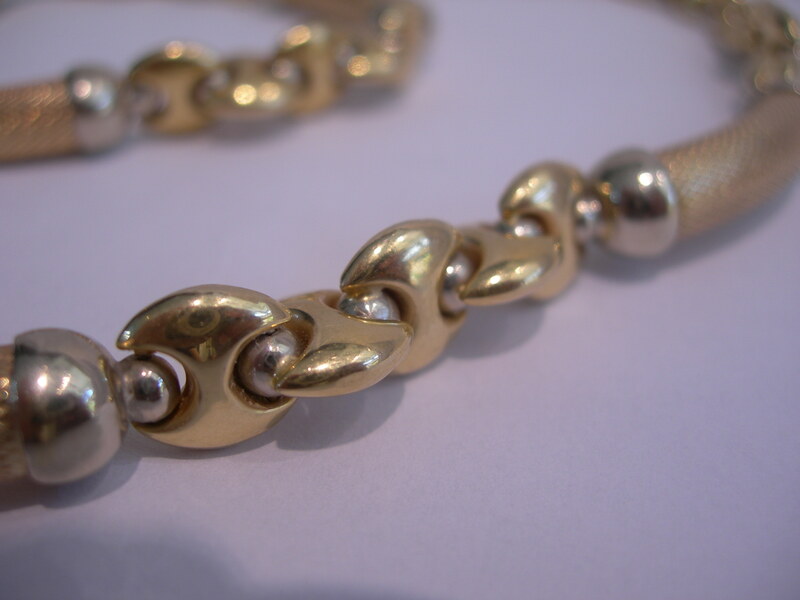 Classic retro two tone 14 karat gold Italian necklace and matching bracelet. 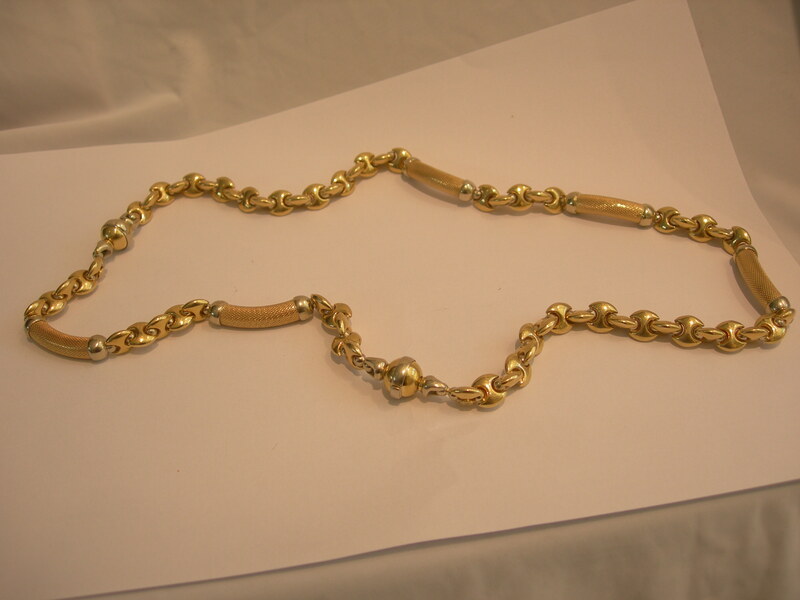 The unusual clasps can be joined together making the necklace longer for wear..
necklace 46cm, Length of bracelet 20.5cm. 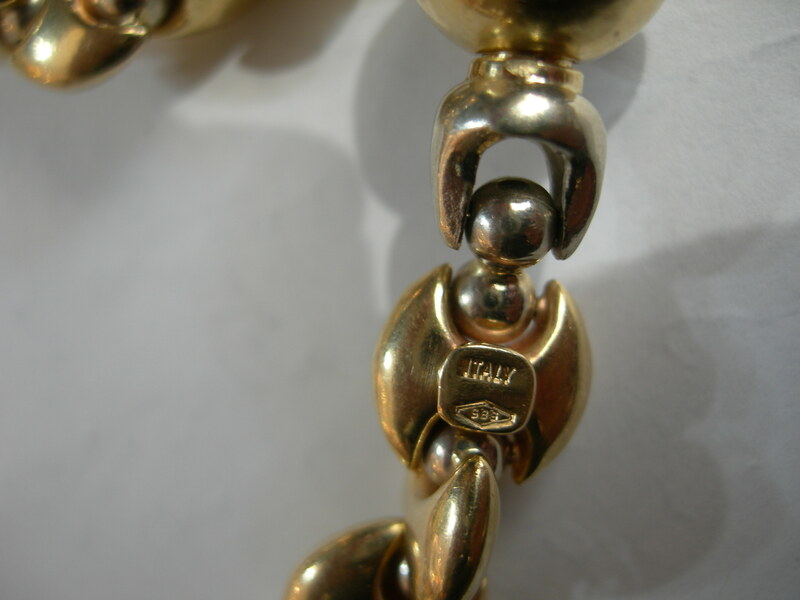 Circa 1960's/70's.